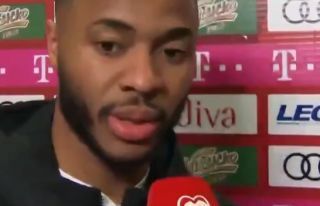 Respect to Raheem Sterling, who did not hold back in giving his opinions on the racist chanting he and other England players were subjected to against Montenegro last night. Monkey chanting could be heard from some of the home support as England players strolled to a 5-1 victory, with Sterling among the scorers on the night. Speaking afterwards, the Manchester City forward called on football’s governing bodies to take this seriously and send a message with a stadium ban for Montenegro.